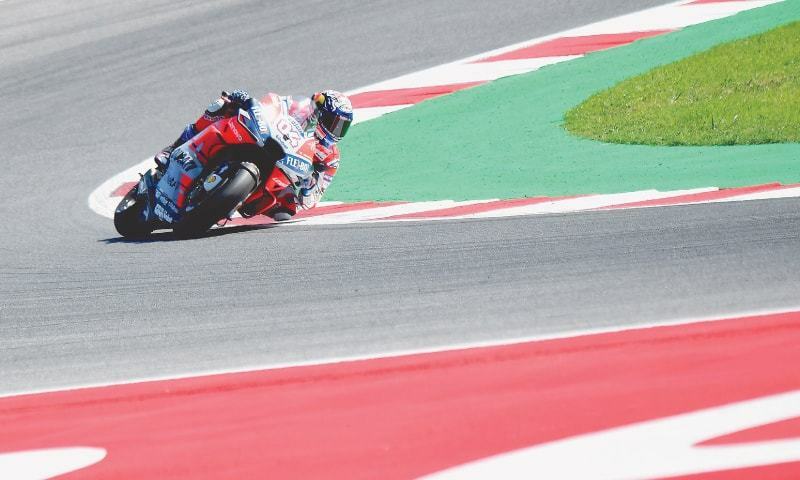 MISANO ADRIATICO: Italian Andrea Dovizioso won the San Marino Grand Prix for Ducati on Sunday while reigning world champion Marc Marquez finished second to increase his MotoGP championship lead to 67 points. “We did everything perfectly,” said Dovizioso, who had started in fourth place and was leading after six laps. His winning margin was 2.822 seconds. “That was the only way to win today because Jorge was very strong and beating Marc was very difficult,” added the Italian.